Braided riverbed habitat of the type found in the Rangitata and other Canterbury rivers is both rare and important nationally and internationally, and the associated bird fauna includes highly specialised species. The Rangitata River represents one of the largest areas of habitat for aquatic bird life in New Zealand. It's noted that the habitat on the Rangitata is the second largest after the Rakaia and is three to four times greater than the largest of the other braided rivers such as the Waimakariri, the Ahuriri, the Hurunui, and the Waitaki. This large size means that habitat is extensive enough to support viable populations of almost all braided river bird species. The Rangitata River supports a wide range of aquatic birds because it continues to provide the habitat that they require. During the Conservation Order hearing information suggests that although there have been declines in the population of some species, overall the bird numbers recorded in the Rangitata during the 1980s and in 2000 - 2001 were similar. Amongst these birds are several species that are considered to be nationally or internationally threatened with extinction. 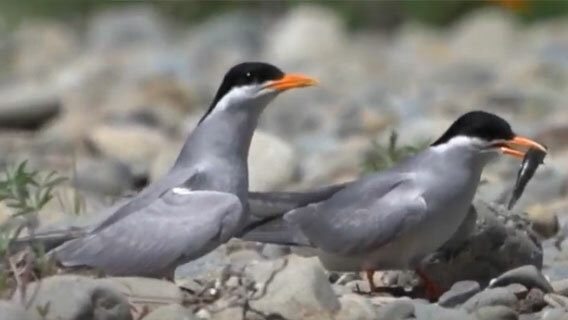 The wrybill, black-billed gull and black-fronted tern are the key species that make the Rangitata outstanding bird habitat as they are endemic species that breed only, or primarily, on braided rivers and are present on the Rangitata in considerable numbers. Each of these species is considered to be of conservation concern, and all have populations that are continuing to decline. Although their precise habitat requirements vary, all three require large expanses of sparsely vegetated gravel riverbed for nesting. 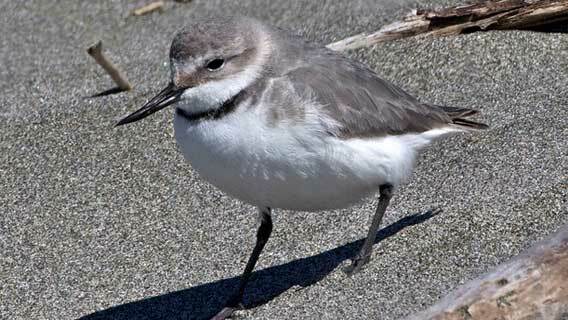 Of the threatened species above wrybill is the most dependent on the large braided rivers of Canterbury and Otago for breeding. 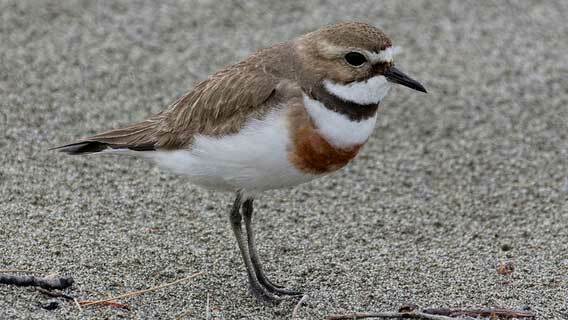 Wrybill are migratory and arrive in late winter/spring from Auckland and Northland, especially the Firth of Thames. They prefer minor channels for feeding and forage in riffles and water edges. The total population at the time of the Conservation Order was estimated to be around 4,000 birds, with a decline of up to 20% in previous 7 years. The Rangitata River is probably the single most important wrybill breeding habitat, although only a quarter to a third of the river has ever been surveyed at the time of the Conservation Order (2006). 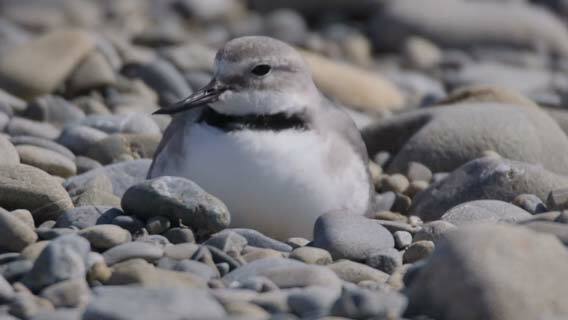 About 90% of wrybill breed in the Rangitata, Rakaia, Waimakariri and upper Waitaki Rivers. The lower Rangitata is one of only 5 or 6 lowland Canterbury rivers with breeding wrybill. Given the low number of this species, all breeding areas are important. 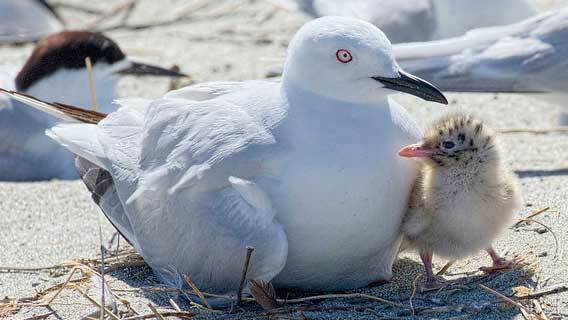 Although the open shingle areas of braided rivers are prime breeding habitat for black-billed gulls, they also breed on the coast. Key feeding habitats in summer include major and minor channels, riparian areas etc. Overall numbers appear to have declined substantially in the South Island in the 20 years prior to the Conservation Order (2006). The total population then estimated to be 50,000 – 100,000 breeding pairs. 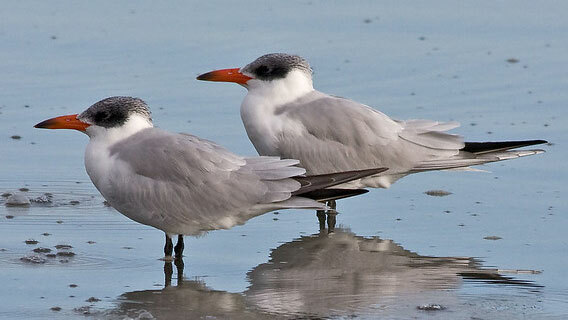 Black-fronted tern breeding is almost entirely in braided eastern South Island riverbeds. They depend on large channels for feeding and bare shingle for breeding, mostly well inland. As at the 2006 Water Conservation Order; Populations appear to be declining, with national population estimated to be between 1,000 – 5,000 pairs.